IZUMIYA SEMINAR OFFICE is an office to support Dr. Kanji IZUMIYA’s activities outside his clinic. 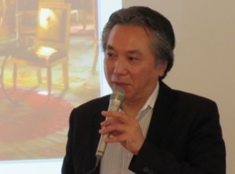 In the Japanese page of our site provides information of Dr. IZUMIYA and his works including writings, lectures, media exposures, etc. We also plan and organize seminars with him as a lecturer. M.D., Psychiatrist, Thinker, Music Composer. Born in 1962, Akita Pref., Japan. Graduated from Tohoku University School of Medicine. Trained music theory and composition method under a private music teacher during university days. 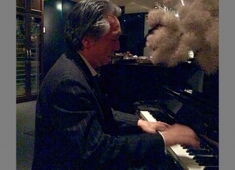 After working at hospitals including Tokyo Medical and Dental University Medical Hospital, he moved to Paris and studied as a student in L’Ecole Normale de Musique de Paris, and worked as a counselor for Institut Culturel Franco-Japonais at the same time. 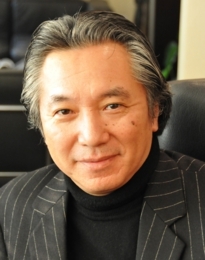 He is currently working in IZUMIYA CLINIC, his own clinic in Tokyo, which specializes in Psychotherapy. 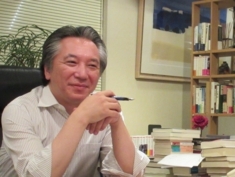 His unique method of psychotherapy to respect and make most of the personality of each client attracts clients from all over Japan and overseas (his session is only in Japanese.) His own way to understand humans as “HEAD/MIND=BODY” has aroused empathy from a wide range of people. He advocates “the true richness of life” through his books (some of them are translated and published in Asian countries), speeches and lectures. 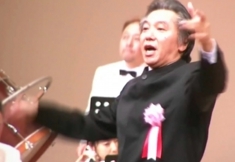 He also works as a stage director and a composer. ＊Services Izumiya Seminar Office provides are not for medical purpose. Copyright 2011 Izumiya Seminar Office All Rights Reserved.